This Prenatal Yoga DVD is designed for the expecting mom interested in yoga during or after the carrying of her child. This DVD was designed for all levels and abilities, Hope shot this DVD just two days before having her first son Harper. Total running time on the Prenatal Yoga DVD is 60 minutes. Hope Zvara brings the need for mom’s to be an opportunity to stop and connect at a vital time in their lives AND their babies lives with this amazing Prenatal DVD. Hope acknowledges that yoga is an invaluable tool for expecting women to help stop, breathe & be reminded of this amazing life inside. 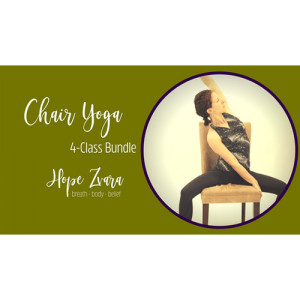 Through breathwork, meditation, and movement, Hope translates this in a wonderful Prenatal Yoga DVD running time of 60 minute. And the best part this Prenatal DVD (Baby in the Belly) is it’s not just for pregnant moms; it is a wonderful and safe practice for postpartum moms and basically anyone with a body!